The crow has long been a symbol of death and devastation. They’re so notorious for giving folks the heebie jeebies that a group of them is even called a murder of crows. Fun! Now you can have this delightful symbol of eternal silence adorning your head. 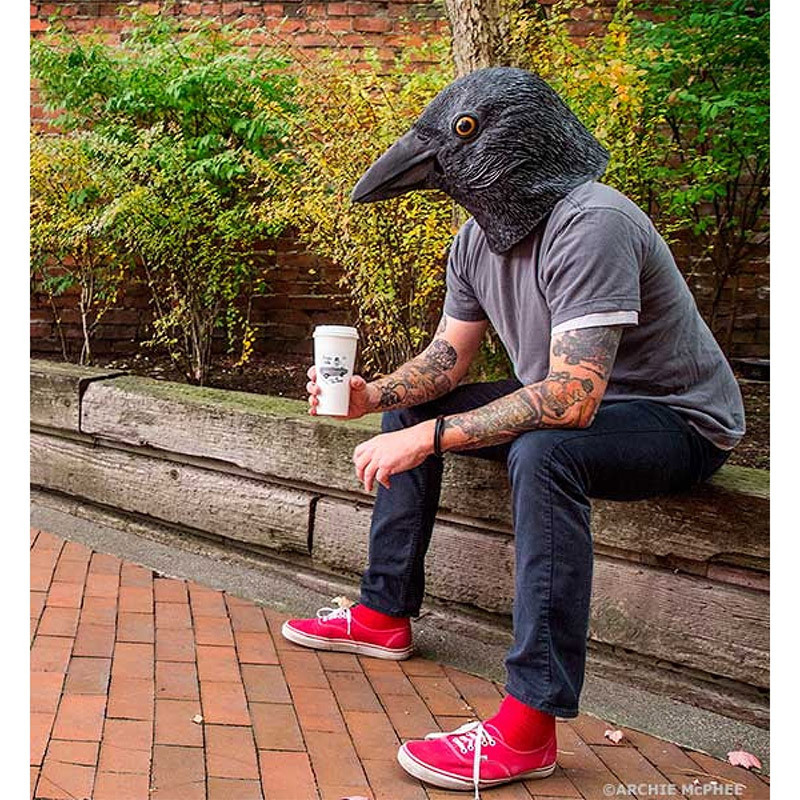 The Crow Mask is incredibly lifelike and creepy enough to give anyone the willies. Alfred Hitchcock could have saved a bundle of money on “The Birds” if he just would have dressed a bunch of actors up in these masks and had them run around everywhere. Do you like getting dressed in animal masks and cavorting about town? Well, a little therapy wouldn’t hurt, but, afterwards, you can pick up the Crow Mask. It’s incredibly creepy, and so real people might try to feed you bread crumbs on the street. 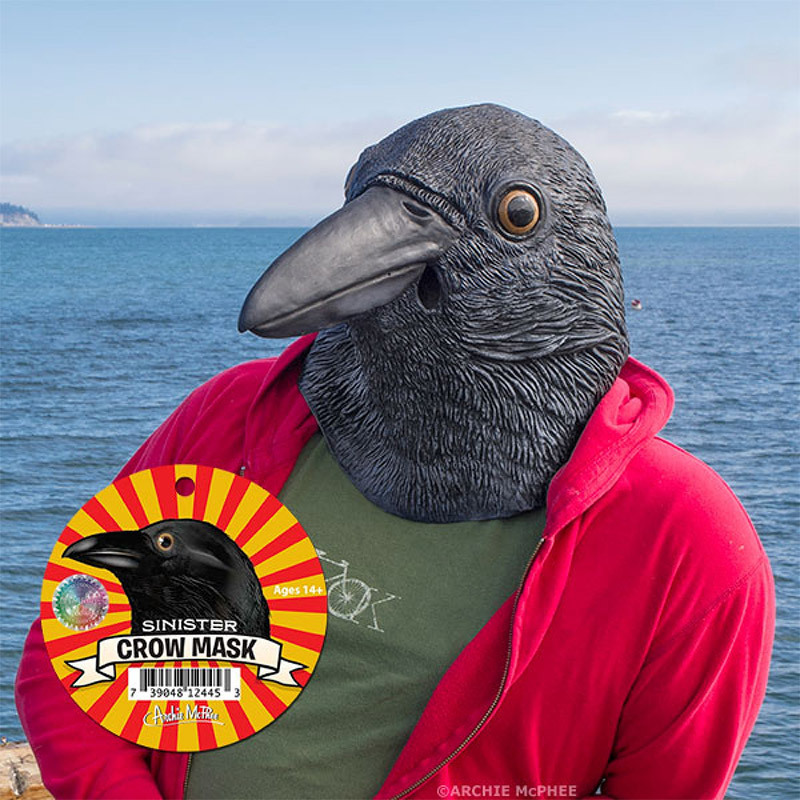 Who Would Love A Crow Mask? Anyone who likes the darker side of things or wants to fit in with a large murder of crows (that sounds so cool) would love these. People that enjoy putting on realistic animal masks for fun and fancy, will enjoy this unusual selection. Can I really infiltrate a murder of crows? Probably, not. While the mask looks really cool and realistic, you’re still human shaped. Crows are smart and will likely pick up on that. They’ll definitely know something is up when you climb the tree instead of fly. Crows are kind of known for flying, hence the saying as the crow flies. Don’t get too cocky. Wait. Wrong bird. Can I scare my friends?